let me introduce myself, I am Elton from Holland(aka Elt0n, from YouTube). I fallow the language of mathematics series. it helps me a lot, not only whit mathematics but also programming and more. you’re video's also encouraged me to do some more research on de internet and in the library. I start to read philosophy and there I found more cool stuff as logic and critical thinking. Now I wonder if you can make video’s about logic in the future. 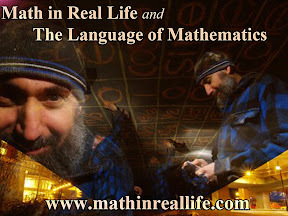 I hope you will make many videos and enjoy spreading the knowledge on mathematics. I'm doing well, brother, thank you. Hope life is being good to you as well. As for the videos, first, thanks for following. Keeps me honest and on track knowing that the vids are helping not only in math but also in life, critical thought. It's what it's all about. As for more on logic, for sure. I'm going to be doing this for a few years and logic plays a huge roll in it. I absolutely love the extremes, the limits of thought, and math is a huge part of that. There is a big picture that I'm trying to share, and as you've probably noticed I'm doing it in piecemeal. There are at least two videos that I have lined up to do for this series, Series IV(a). One is on zero and another on infinity. It will take me a few more months though, I've hit the rainy season in Vancouver so it's slowed my work down a little, but they're in the cue. what is your religion brother? My faith? I'd say love, peace, and sharing with a serious dose of reality. You commented before I had a chance to reply to your previous comment. No worries though, let me expand on what I said, however, before I do, I want to thank you. I think about and put a lot of work into what I put out, I try to anyway even though I do fail at times, but I do appreciate it a lot when someone tells me that they understood the point that I was trying to get across. It means that you put time and effort into it, which I do appreciate. So thank you. As for your questions, I’m an optimist and realist by nature. I look for the good in things but I try to be aware of the evils on this life. So my ‘faith’ is as follows. I do not have any faith in organized religion, none what so ever. However, I do have faith that human nature is inherently good, no matter what religion one likes to follow, or not. My faith is that we as a species will be able to prevent our corporate governments from dividing and conquering us, that is their ultimate goal after all. So no matter if you’re an atheist, Muslim, Christian, Jew, Hindu, a scientist, or whatever, if your ultimate goal is the betterment of life then your are my friend and I respect your faith. One point though, science is not faith based, even though many so-called scientist would like us to believe so. There is good science and bad science. Science is just a method for us to answer a question we have, and for us to get to the next question on our list. Hopefully, we will never run out of questions. Religion does the same thing by taking another path. As for math, it’s just the best language that we have been able to come up with to do science. Is it perfect? Definitely not, but it’s by leaps and bounds better than anything else that we have. As for a one-on-one chat, I’ve been asked before but have stayed away from it. I have a lot to share before I am ready for direct dialogue in real time – I have to build up my resources beforehand. I hope that answers your questions, and my apologies for any typos. Just wanted to reply to you ASAP. 1st) - Regarding evil: As for defining evil, you have a very good point, but keep in mind that we are talking about fundamentals. All major religions/faiths/beliefs have one thing in common, there can be no debating the fundamentals of life. Some of those being, respect your neighbour, do not take what is not yours, do not murder (different than kill), do not force your belief on others, help those in need, etc. 2nd) - Regarding Islam: I have no problem with Islam, or any other religion for that matter. I just have a problem with organised (institutionalised) religion. Why? Because it can and has been proven to be corruptible. The one important thing I like to emphasis is that there is no one recipe for everyone, just like there is no one specific life style for everyone. The major problem with institutional religions is that people become lazy and instead of reading and understanding scriptures, they follow their leaders without question, and that becomes a major problem. The best example of this that I can give is the Catholic Church, which in my opinion is one of the most destructive forces on this planet. This, by the way, says nothing about Catholics. Many have been the kindest people that I have met, I just wish they held their ‘leaders’ accountable. The same can be said about certain organisations for Islam, Buddhists, etc. 3rd) – Regarding human nature: The bad that people do has a much larger effect on society than the good that they do, in general. So my take is that the small minority that cause so much misery in this world are not representative of the majority. 4th) – Regarding religion and science: Like I said, there is good science and bad science, as here are good religious beliefs and bad religious beliefs. I don’t believe in absolutes, I only believe in approximations, so to me there can never be the one true faith, neither in science nor in religion. 5th) – Just so you know, I have read large parts of both the bible and the quran, not to mention some other religious texts, and even though I have learned much from them, they are not for me at the present. I can’t speak for the future. I hope that does provide further insight into my beliefs. I don’t want to debate or talk about religion much further because to me it’s personal. If you do feel like talking further than please feel free to email me (my email address is available above), but please know that I have no desire to get into a religious discussion. It’s just not what I‘m into right now. 20 years ago maybe, but not now. My main focus right now is to produce my work and anything that takes away from that is secondary. Hi again Faysal, Thanks for the link, i haven't watched it yet. Just wanted to let you know that I'm already aware of the importance of math in the quran, especially the number 19. I actually have a book regarding this subject in my library (in storage at the moment so I don't recall the name or the author). Just figured I'd repeat myself, I'm not interested in religious beliefs right now. I explored all I care to explore 20 years ago. If you really want to know what my spiritual beliefs are then I would categorize it as shamanism, the original "religion" of all the peoples of this planet. It's the first, and in my opinion, the most authentic. I highly recommend that you explore the shamanistic beliefs in your region if you're interested in knowing more. I didn't get your email, Faysal. But either way, I really don't have any more time for this. This is the longest I engage in conversation such as this. I'm happy for you if you have found true happiness and love and understanding, but I have no desire to talk about god or religion anymore. As for shamanism, the practice varies depending on were you live. I suggest you look it up on wikipedia and take it from there. Peace, brother, and I hope you respect my desire to end this conversation, after all you must agree that spending my time on what I would like to do, produce more math videos and other content, is important to me and those who benefit from my work. ps. No email conversation either. This has been quite a long conversation as it is. i don't understand where to chose sin, cos or tan and why? is there any detailed info on that? The trig section that I created was a quickie lesson on how to use the functions, not what the ratios represented. I did this because a family member needed help and they wanted it as soon as possible. So the reason that you can't find the "why" part is because I haven't made it yet, unfortunately. If you really want to understand it well, then I say skip it for now. Knowing how it all fits together is super cool if you can wait. I don't have any specific links I can share but there are some good math sites out there. Khan Academy and PatrickJMT are two. I don't know how their Trig sections are but I'm sure they have more on the topic at the moment. As well, try Wiki, I've seen some cool graphics there for sure. how are you doing?Is it also snowing in Vancouver? I'm still making progress whit mathematics,logic and philosophy. Recently I have read a book about cognitive-science because I want to study Artificial intelligent. Also, not sure if you have this or not, but there is actually a course on GEB online. I've only watched one lecture so far but plan on going through the series at some point as well. just passing by to say: Mathematics rocks! !, greeting from Holland!! ps. Doing well, brother. Just enjoying our Fall in Canada and staying warm and cozy by the computer. Hope all is well in your end of the world. I'm really glad you've put this site up, and baffled I haven't come across it sooner- I was brought here by way of a general, daily outrage about the state of civil liberties in my country in regards to mind altering substances, psychedelics in particular. My last experience was about five years ago, and I am finally at the point where I feel I have adequately processed it and have learned enough to ingest a higher dose with less/no external stimuli. Some Primary Lessons from Some Amazing Teachers struck my eye and I swear, that is as solid a list of my immediate influences in terms of ideas and models of reality as I've ever come across. I found Bill Hicks, Albert Camus, and Socrates while skipping class to read in the library in high school at the age of 15 (around the turn of the century), and later went on to enjoy and feel enriched by the works and ideas, histories of Noam Chomsky, Howard Zinn, Nikola Tesla, Kurt Vonnegut, Robert Anton Wilson, Alan Watts, Carl Sagan, George Eliot, and especially Terence McKenna. Every day I feel like the world is becoming more of the place I wanted it to be and knew it could be as a kid of 15; there are too many of us who have been "infected" by good ideas for business as usual to continue unabated, and with the emerging global awareness of Other it is becoming harder and harder for greyfaces to maintain their illusions of control. Models of reality can only be confused with reality for so long! Much love for what you've got going on here, I look forward to exploring more! And thank you for pointing me towards Albert Camus - "His views contributed to the rise of the philosophy known as absurdism." - Love it! I'll definitely be exploring this further. Peace brother, and much love. You always talk about freedom, and opposing restrictions but unfairly you omitted or unpublished my comments. Thanks for still respecting me. You have to realize that I do get a lot of spam and it does take time to filter them and to respond to people. Actually, I didn't mean to hurt ya. I am already a fan of you. No worries, brother, and thank you. I just consider all family talk to be private. 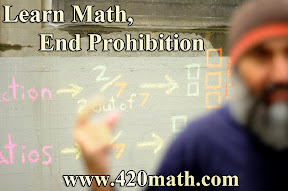 Sir, while watching yr vidz on math I was so indulged that I'd 4gotten to watch over 5 hours. I own my business but your down-to-earth teaching made me to finish and do yr exercises as well as other more problems to begin my favorite major. architecture. So I owe you Alot. I got a question, Why some guys go ( a/0 ) is not defined? Because it's undefined. I put out a short video about it in 2007, see: "The Language of Mathematics (5): Zero and Infinity"
I've already watched (5): Zero and Infinity, it's really cool. Cool, hope you like the next set that will be coming up. By the way, which part of Iran are you from? Just to share, I lived in Khuzestan, near Dezful and Andimeshk, for most of my childhood before moving to Canada. Last night I was at a wedding. The groom was from Dezful. His last name was Gholyan, he claimed the Gholyan clan is very famous in Dezful. Chycho, now and the future are with you and your creativity. I 4got 2 say I live in Tehran, but my business is in Karaj. Dear Chycho, here's a link- my pix in different parts of Iran. I just wanted to let you know your influence has spread as far and wide as my country all the way down in our little corner of the globe. I started off listening to your ASMR comic book videos (I really had no interest in comics, you just have the best voice and more importantly a wicked accent which never fails to soothe my mind). Over time I discovered the rest of your stuff including your math tutorials and blogs on anything and everything. I really think you are an awesome human being! Your passion for the things you love and optimistic approach to this life we live is very inspiring for me and no doubt thousands of others everywhere. I have a question for you - what ethnicity are you man? For the life of me I can't work it out I don't know many North Americans, but if I had to guess I'd say part Canadian part Inuit part Indian American part Mexican part Middle Eastern. Just covering my bases there. Keep doing what you do Chycho and keep spreading the love. And make more ASMR! Oh, Man! Thank you, Toby. What an amazing message to start the day to... and thank you for the offer. During my travels I have crossed paths with New Zealanders and I can honestly tell you that you have been some of the kindest and humblest people that I have ever met. I will definitely take you up on your offer if I make my way to your part of the world. As for me, my mentality and mindset is probably best categorized as west coast Canadian, but I am like almost everyone here an immigrant - much respect and appreciation to the Coast Salish peoples for accepting us - I was born in Iran and am of Armenian descent.